1. Tell us a little bit about Southern Sparkle & who you love to serve. 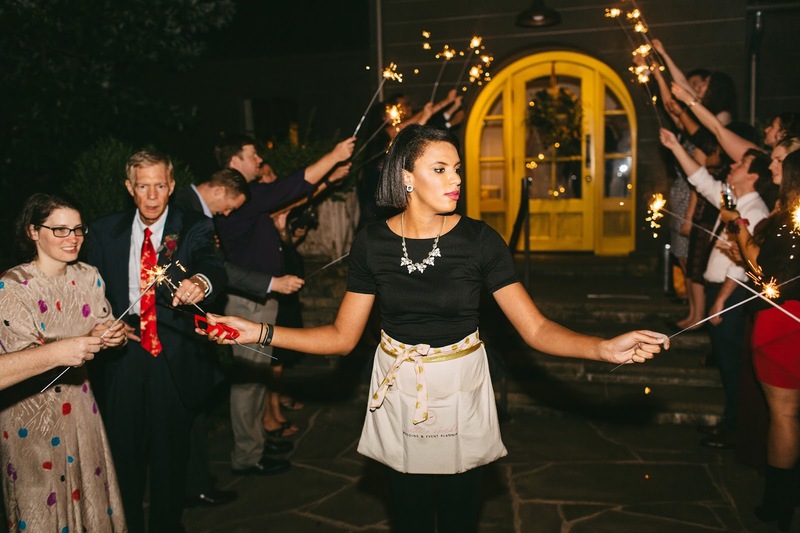 Southern Sparkle is an award winning wedding planning team with locations in Nashville, Jackson & Memphis, Tennessee, with dreams of having additional locations all over the Southeast. Our team consists of Certified Wedding Planners certified through The Bridal Society. We plan all kinds of events from birthday parties to baby showers but wedding planning is where we thrive and what we really love doing. We were also recently named one of The Best Event Planners in Nashville by The Nashville Scene! 2. How did you get started in the wedding industry? I was in the banking industry right out of college and, although I was good at my job, I just wasn’t happy. For about a year my mom encouraged me to try wedding planning. She did her research and found The Bridal Society. She offered to pay for me to attend the conference but I counter offered and said I would pay for myself if she came and got certified as well. After attending the conference, I took everything we were taught to heart and hit the ground running. 1 year later I was able to quit my full-time job at the bank and put everything I could into Southern Sparkle. 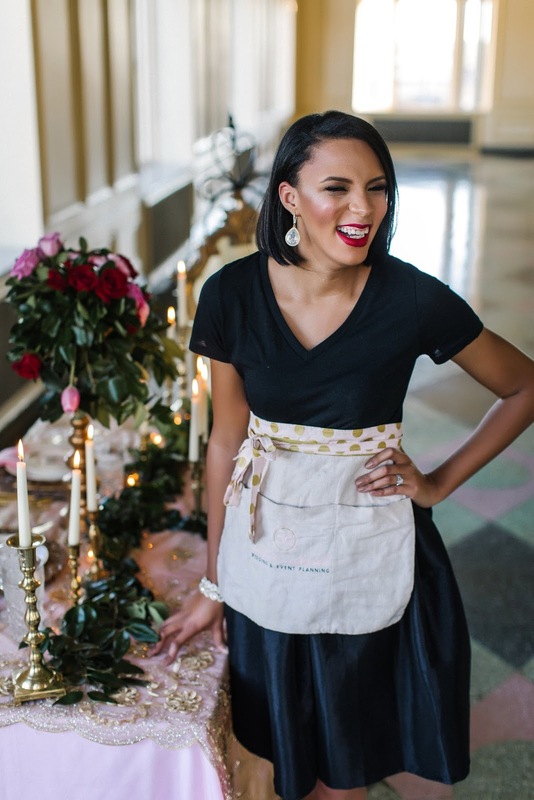 By year two I had to bring in additional team members and that allowed us to have Southern Sparkle all over the state of Tennessee and in year three I was named Wedding Planner of the Year by The Bridal Society. 3. What is the funniest thing that has happened to you recently? I have a two year old son, Cortland, and he is the funniest person I know. So my son and I both love wrestling. Well, let’s be honest here, I love wrestling and I have basically forced this love to him as well. Our favorite wrestler is The Rock and we watch videos of him every morning as part of our morning ritual. Brush your teeth, eat your breakfast, watch The Rock…just a normal morning for us. The Rock has a catch phrase where he says “if you smell what The Rock is cooking” and tilts his head to the side and lifts his head up. Well one morning during our morning ritual, my son did this signature move while sniffing the air like he was literally trying to smell what The Rock was cooking. Luckily I caught it on my phone and can replay it over and over when I am having a bad day. 4. What keeps you inspired? My amazing Sparkle Brides keep me inspired. When I think of how they are trusting me with one of the most important days of their life, I feel so humbled and honored. That trust makes me want to work even harder for them and keeps me going to try and be the best planner I can be for them. 5. What’s in your apron? People are always amazed when I start pulling out items from my apron. They hold so much! It was such a pleasure talking to you, Krisy. Thank you so much agreeing to participate in the new series and for sharing with our readers. I hope to meet you in person someday soon!